The holidays, including all of that holiday shopping, have me doing a little bit of window shopping for myself. All the sequins and sparkles on everything have me a bit obsessed with some fancier looks, which I don’t get to wear often. And at the top of my list: shoes shoes shoes! I never used to be that in to shoes until about a year ago when I had to do some dressing up for some of Kyle’s Army events. Since then, I’ve created somewhat of a collection of various styles, from flats to heels and everything in between. Here are some of the shoes on my wish list! Each selection on my wish list can be worn for various occasions, from dressy to casual. I chose some styles that I know are comfortable, because I’ve already tried them on and drooled over them! I wanted to expand my colors a little bit, and veer away from just the typical white, black, and tan which is practical, but kinda boring. I did mix in some name brand shoes that are typically on the expensive side, ($200+, and no, I can’t afford that either) which I spotted at places like Nordstrom Rack and TJMaxx/Marshalls. If you commit to searching online and in those stores, you’re bound to find something great for way less than the name-brand website. These came out recently, and they’re already sold out! I’m on a little waiting list to alert me when they available again, just in case it’s a good time to buy them. These are great for the fall to winter months, especially around the holidays. 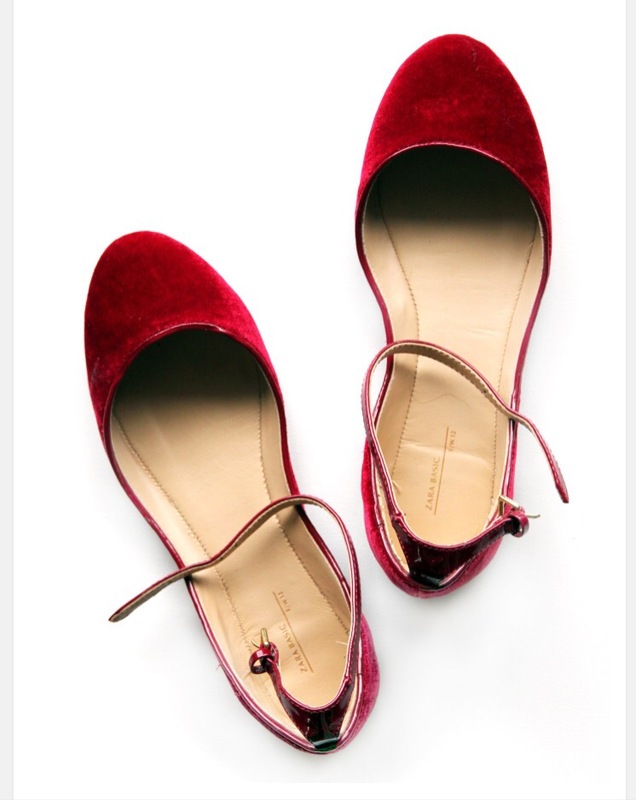 They’re made out of velvet, and would be idea with a cute holiday skirt to dress things up. I fell in love with these because they’re so versatile. I can even wear them with leggings and it’ll completely change the outfit! I definitely went out on a limb with these due to how pricey they are. But after spotting them at Nordstrom Rack for $90, versus the $358 they’re listed online for, I thought it was way more reasonable. They’re classy and simple in the front, with a flare of gold speckles in the back. And you know how much I love gold! 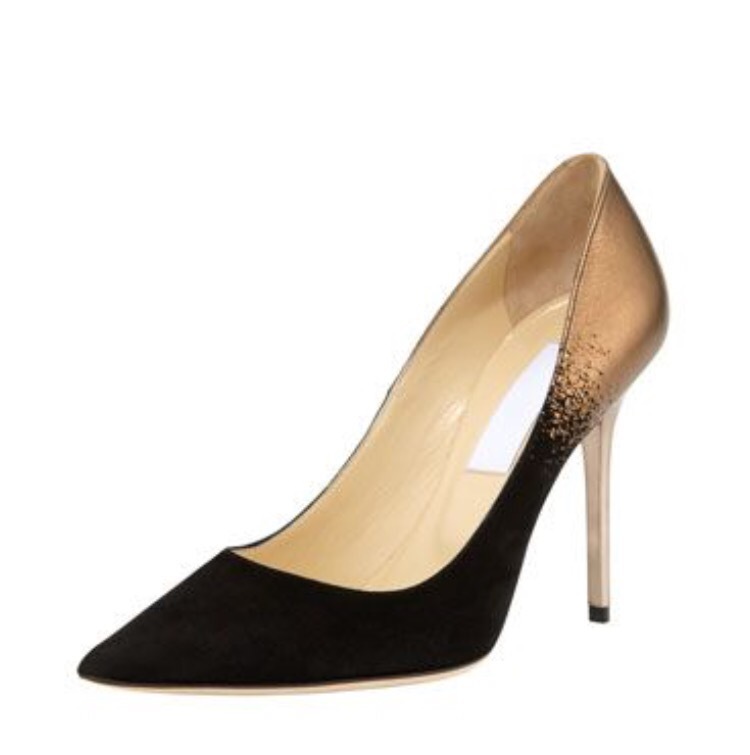 I could wear these with some skinny jeans for work, or with a mid length dress for date night. I spotted these while Black Friday shopping with Kyle and literally stopped in my tracks. 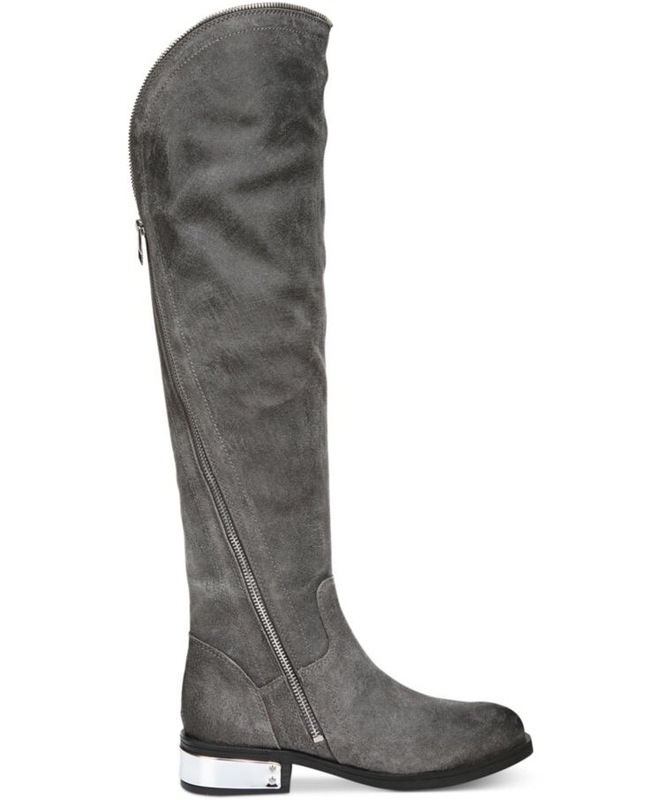 I think I speak for all of us when I say that the tall boot trend can stay forever, especially with leggings. So far I have brown and black, and didn’t even think of getting gray ones until I saw these. They’re priced as expected, so I would definitely have to save up. Or maybe Santa will bring them! A girl can hope. I totally mimicked this pair for my college graduation this past spring, but it didn’t do them justice. We finally have a Michael Kors in our mall, which is good and bad at the same time. 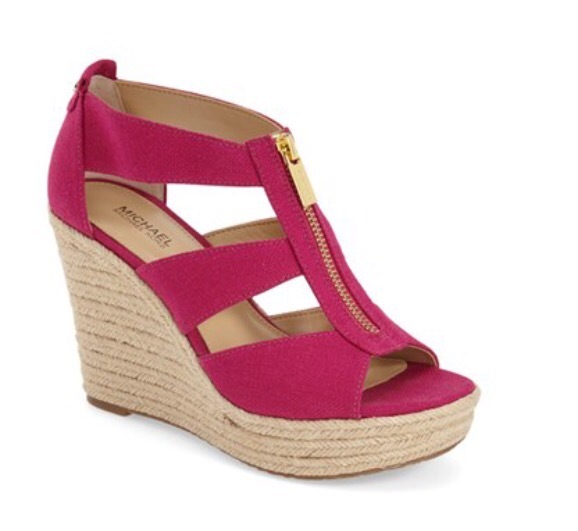 Michael Kors anything is my absolute go-to, and these wedges are perfect for me. As I’ve mentioned before, I’m not that great with high heels (runners feet, ugh). But these offer so much support and stability, I felt like I was in my sneakers! But naturally, I haven’t found them on sale yet. Feel free to let me know if you spot any! Talk about the heel of all heels. Not only are they a beautiful red, but they aren’t ridiculously priced either. These are the type of shoes you put on and say, “I’ll never wear them to anything, but I want them. Right now.” I mean, I’m sure I’ll find something to wear them to. Maybe. Either way, they’re beautiful! Are you a shoe fanatic too? What’s on your wish list? I’m not even going to lie…when I saw the Michael Khors sandals I instantly thought “Hey Target had a version of these in the summer”. They are adorable but for the price I don’t know if I could ever pull the trigger. 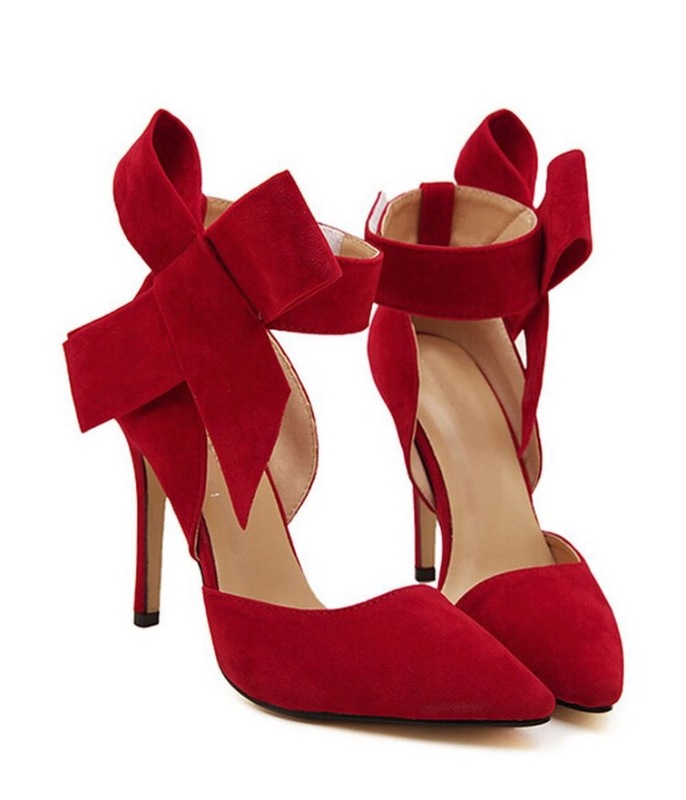 I love those red bow heels too and I’d parade around them in the house if I had to…just so I could say I wore them. I agree, they’re just too much for sandals. And I love target! Sometimes they do have some great items that mimic the more high end brands. I’m perfectly fine with getting knock offs rather than spending that much!